Ing. 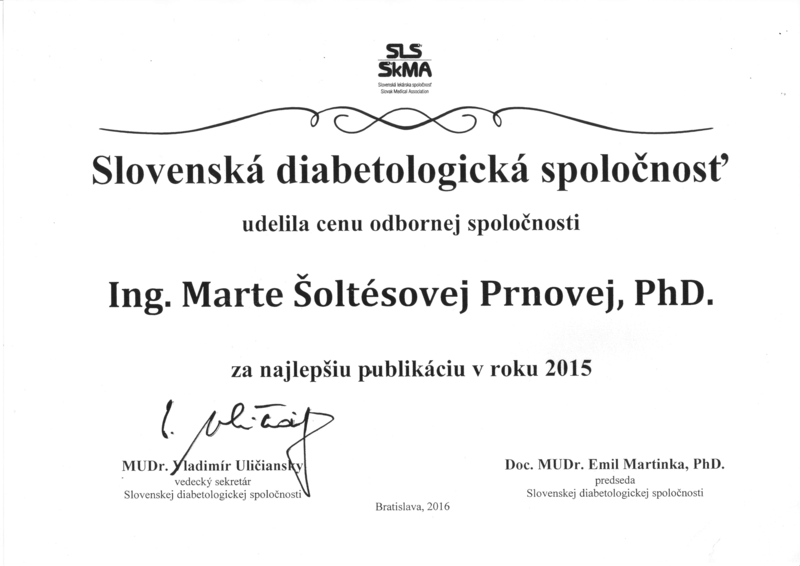 Marta Šoltésová Prnová, PhD., Ing. Milan Štefek, PhD and co-authors from Dept. 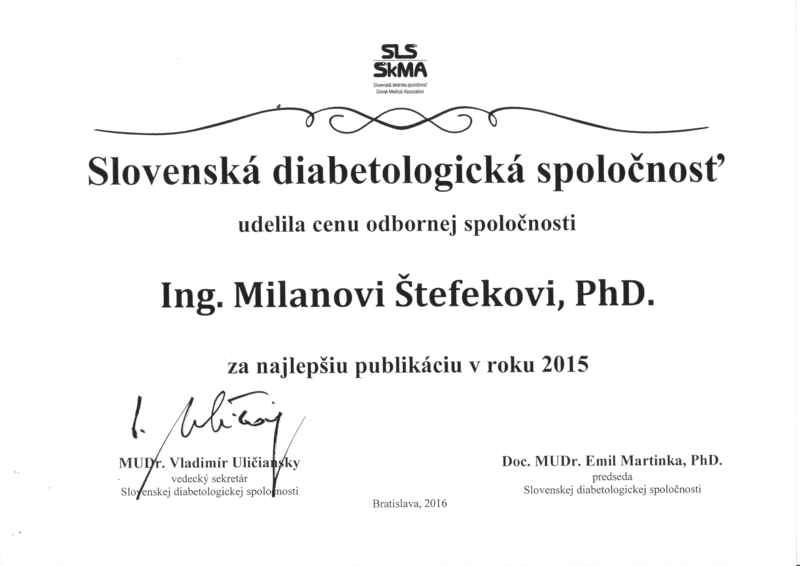 of Biochemical Pharmacology received Slovak Diabetologic Society Award for their experimental research new selective aldosareductase inhibitors. Stefek, I. Milackova, B. Diez-Dacal, D. Perez-Sala, M. Soltesova Prnova, Use of 5-carboxymethyl-3-mercapto-1,2,4-triazino-[5,6-b]- indoles and their pharmaceutical composition.Patent WO 2015/057175 A1, 2015.